Before having their baby, most parents spend 9 months dreaming of what it will be like to hold their sweet angel, cuddle them in their arms and peacefully rock them to sleep. They imagine all the smiles and coos they will receive, the fun they will have showing them off, and look forward to making sweet memories with their babe. However, for some parents, their initiation into parenthood looks absolutely nothing like what they imagined. The baby doesn’t seem to like rocking. The baby doesn’t seem to like to be cuddled. The baby doesn’t seem to like sitting for a picture. In fact, the only thing the baby seems to like is crying. And the thought, “Why do people say they love the newborn phase?” begins to swirl in their heads more often than not as they work to comfort their crying baby. Call it what you will. Colic. Fussiness. Gas. Whatever it is that seems to be the most accurate to your experience, a baby that cries all the time is stressful. And exhausting. Luckily, it does not last forever. 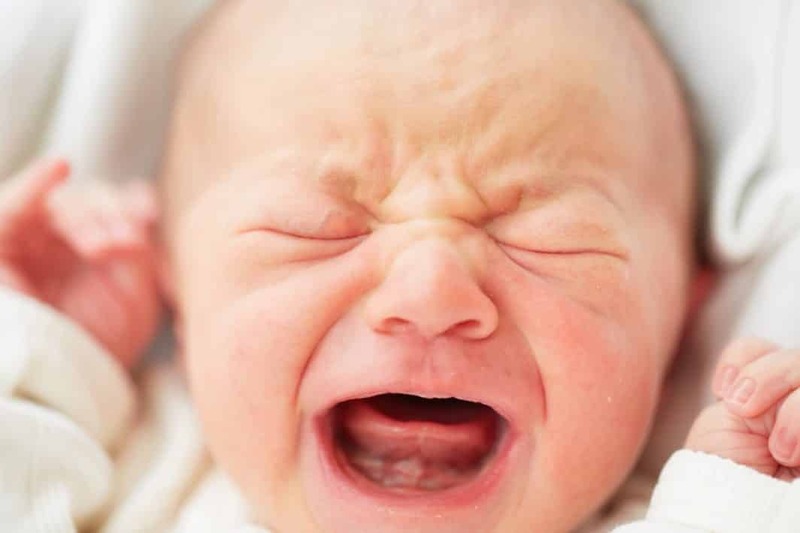 Infants DO grow older and turn into children that do NOT cry all of the time. But in the meantime, how is a tired parent to cope?! If you have not heard of this method, it is by far my favorite thing for any new parent to know for soothing babies as a mom of three. In this method, Dr. Harvey Karp teaches parents how to use the 5 S’s…swaddle, shush, side/stomach position, swing, and sucking to initiate the calming reflex. I have both his book and his video and love them! Click HERE for a link to his book. What is going into an infant as food is probably the greatest thing that can affect their mood and crying. For babies that seem fussy after meals, it is a great idea to try and alter their diet. For breastfeeding moms, moms can try to eliminate foods that could be causing irritation to baby. See list HERE of ideas with where to start. For formula-fed babies, many parents recommended Nutramigen Formula. Ahh, gas drops. For many parents, they credit them as the most important thing to keep in the diaper bag next to milk! Some of the brands recommended by my friends were Colic Calm Drops and Mommy’s Bliss Gripe Water. Many parents who have had a colicky baby feel their baby had bad reflux that went undiagnosed. Several parents who started reflux meds feel these made the greatest difference in the temperament of their child. Of course these have to be prescribed by your pediatrician, but it might be worth calling your doctor if you feel this could be the problem. Babies love white noise. And strangely they seem to like it louder than we might think because they are used to being near a beating heart. So whether it is using an actual hairdryer, buying a white noise CD, using a white noise machine, or just getting an app on your phone, noise can be your friend in soothing a fussy baby. For severe colic, many parents who are open to natural medicine state chiropractors have completely stopped their child’s all-day crying. Some chiropractors specialize in work with infants and feel they can cure colic. You need to check with your pediatrician to see if they approve them, but many parents believe probiotic drops are effective for helping soothe a baby’s tummy and fussiness. 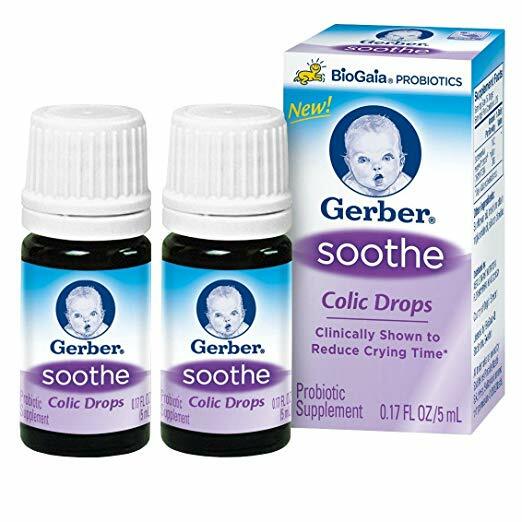 I personally loved Gerber’s Soothe Drops for my third son and felt that after using them, his tummy troubles disappeared. Not every baby likes the same position. Some like to have their legs moved like a bicycle, others like to be held high up over their parent’s shoulder and some like to lay alone. Experiment with different ways your baby might be more comfortable. What works for one baby may be totally different than what works for the next. For many babies, laying them down tends to aggravate their bellies. 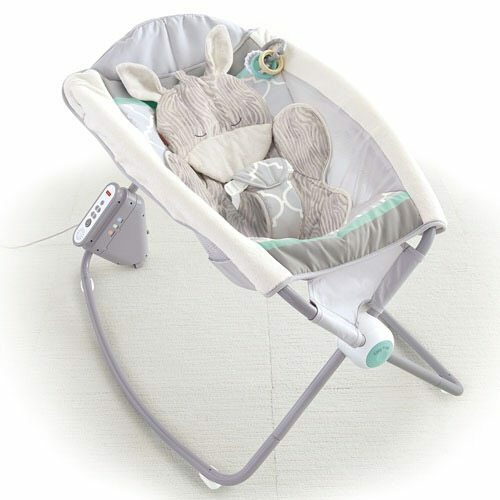 Therefore a swing or Rock and Play can serve as a lifesaver due to the way the baby is held or cradled. I also loved wearing my babies in a MOBY wrap or Boba carrier! Several parents have shared that applying warmth to their baby’s belly seemed to help alleviate gas pains. One product that was a favorite is the Happi Tummi Waist Band. For the baby who loves movement and bouncing, this is one of the best ways to keep them moving but spare your legs. 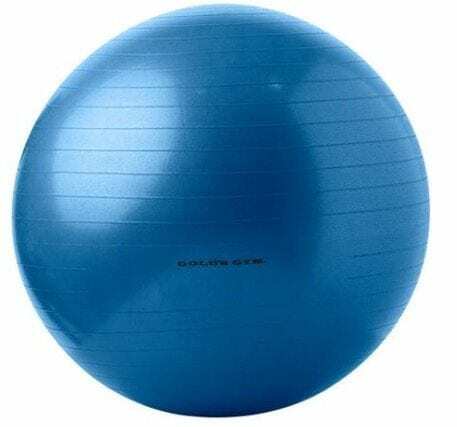 Get a large, oversized exercise ball and sit on the ball to bounce the baby instead of using your own energy. It is easy and effective! Many parents believe warm baths are a great way to soothe a fussy baby. Of course some hate the bath too. But you will never know until you try! Your baby has heard your voice the whole time in the womb, so it only makes sense they enjoy hearing it now that they are out in the world. Try singing them a lullaby. There is a reason lullabies were invented. Some babies love them! Sometimes a change of temperature or light can help a baby stop crying. When you have been holding a crying infant inside and feel you are at your wit’s end, try stepping outside. Many times the change of scenery or temperature can help distract them from their crying. Sometimes when you have tried everything else and nothing is working, car rides can be your saving grace. I have found that getting on a highway is more effective than being on side streets and that sometimes initially to stop the crying, you can roll down the window nearest the baby about an inch because the loud sound kind of stuns them and can serve as a sound machine to get them to stop crying. And for some fussy babies, there is no magic cure, it just takes trying everything together with nothing working that well. And while it may make you feel alone, you are not. It is just a phase, and it will get better! But until it does, reach out to other parents who have gone through the same thing. You will feel better to know you are not alone. Because you are not. I promise! Cheers to Finding the Magic Technique!